There have been some big changes lately in the Arrowverse having to do with the ‘Big Bads” of each show. Today I’m going to do a quick pass over each to see where we are at, their motivation, their plan, and how all that is working out. We’ll start off with what is usually the first show of the week, Supergirl. Odette Annable as Samantha Arias/Reign — Photo: Michael Courtney/The CW — © 2018 The CW Network, LLC. All rights reserved. We were introduced to Samantha Arias (Odette Annable) in the first episode of the season, along with her daughter Ruby (Emma Temblay). Our first experience with her was as a mother, and she was going to a Supergirl celebration that was attacked by a guy with a stealth submarine. When Ruby is put into danger, Sam is suddenly strong enough to lift a metal scaffolding to save her. We later learn that Sam’s company was just bought out by L Corp, and Lena (Katie McGrath) brought her on to run the company while Lena looked after the newly purchased CatCo. We got to know Sam for a while before more weird things started happening, and she’s gotten close to Lena, Kara (Melissa Benoist), and Alex (Chyler Leigh). When we finally meet her as Reign and we realize she doesn’t know about the alter ego, she becomes a tragic villain who then beats Supergirl into a coma. Sam has no reason to want to hurt anyone. Reign, on the other hand, is a genetically engineered weapon. Along with her fellow Worldkillers, she has been lying dormant on Earth waiting for the day she’d be awakened. Her purpose is to rid the world of injustice, but her judgement is black and white. Many people will be her target that don’t deserve it. She is ruthless and extremely powerful. Reign doesn’t seem to have a plan. She’s more of a reactionary force at this point, but there are others that seem to want to guide her. They may be biding their time until all the Worldkillers are revealed. The city/world fears her to the point that villains are leaving town and hiding rather than face her. But she’s not out patrolling on a regular basis or anything like that. There doesn’t seem to be a ticking clock on her side, but as Alex and Lena try to help Sam figure out her blackouts, once Sam knows she’s Reign, anything might happen. The obvious questions involving Reign has to be: what are the plans for the Worldkillers, why were they built, and how do you stop them? But the question I’m left wondering is how much of Sam’s memory gets wiped and why? When Purity (Krys Marshall) returned to being Julia Freeman, she seemed to remember what had happened enough to exchange herself for Alex. But Sam doesn’t remember any of it. Does she even remember going out to see her stepmother and discovering she’s an alien? You think that would’ve come up since if she did. 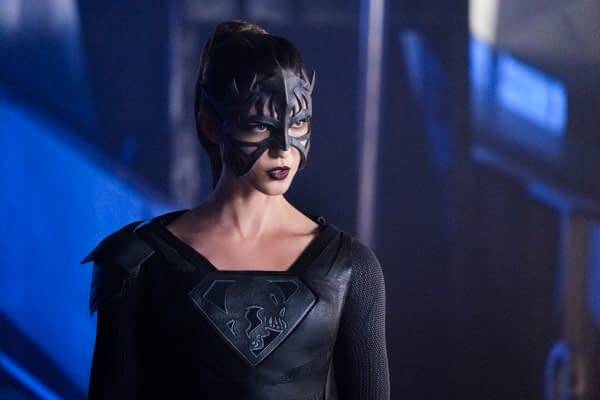 There has been a lot of buildup to Reign while dealing with side stories like Morgan Edge (Adrian Pasdar) and the return of Mon-El (Chris Wood). But with that much setup, there is going to need to be a really good payoff. We’ll have to see what the nine-week hiatus does to help the writers solidify the story after the removal of executive producer Andrew Kreisberg. Supergirl returns on April 16th at 8 p.m. ET on the CW.